Hello everybody! Virginia here and I’d like to talk about writing romance for readers who don’t usually pick up a romance book: the MEN. But I’m all about the wavering. And waffling. And switching genres. And sitting on fences. So, let’s talk about reaching those readers who may not head for the romance aisle. We all know a romance involves two people and their struggle to find the happy ever after. The blurb usually followed a pattern like this: Heroine really wants to (run a farm, raise puppies, cook a lasagna) but first she needs to (buy the farm, buy two dogs, buy ingredients). Hero really wants to (sell the farm, raise cats, make the world vegetarian) but first he needs to (find a farm, find two cats, learn to cook vegetables). That’s all fine and good. Most readers will still be with you here. But as the traditional romance blurb goes on, they may stop reading when you read the next portion and the heroine “battles her intense attraction” and the hero “will do anything to have her”. What can we put in the middle to keep the non-romance readers on our side? Find what makes your book unique. This isn’t hard to do. You wrote it. Valerie rights about sustainable agriculture and fresh foods. 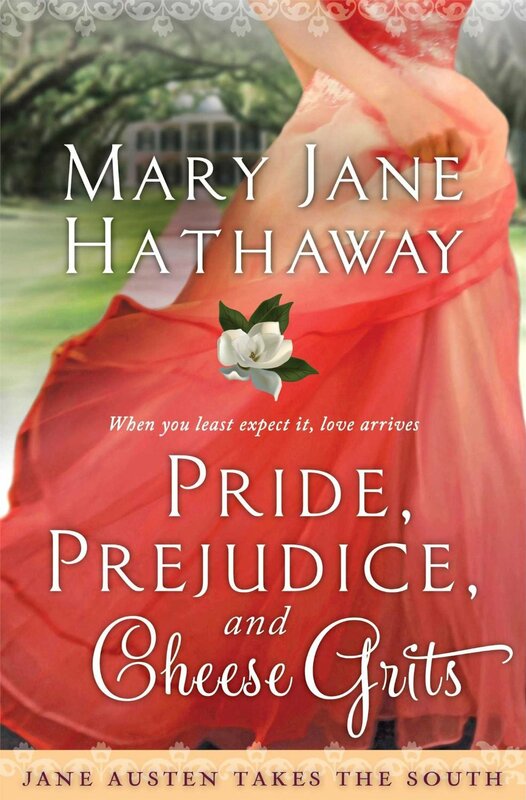 Narelle writes about Australia, Pepper writes about romance in the Blue Ridge area, Katherine Reay writes about Jane Austen. You get the idea. Make sure that unique concept is front and center, before the ooey-gooey parts hit the blurb. Your non-romantic readers will still be with you when you read the “intense attraction” type stuff. 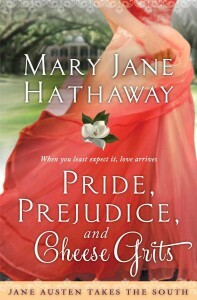 For my book Pride, Prejudice, and Cheese Grits I brought the Civil War link out ASAP. And it seems to have worked since I receive 3-5 message a week from (wait for it!) Civil War enthusiasts who are usually older Southern gentlemen. They appreciate the details of the battles and the uniforms and the artillery. I had one man write me that he had one of the revolvers I mentioned in the book: an 1860 Army service revolver with a steel frame and a navy scene engraved on the cylinder. He was tickled that I mentioned that attached shoulder stock, and had my character remove it for a dress occasion. This man said that he didn’t read romance, but that the Civil War detail in the blurb caught his attention when it came up under a “recommended” link on Amazon. We all want our hero to be interesting, but is he interesting to a man? (For that matter, it doesn’t hurt to have the heroine do more than knit and cook.) A male reader identifies strongly with the male lead so if your hero is only following around the heroine, asking about her life, he might just put the book down and never pick it up again. I’ve read books where the hero is interesting… for a few pages. And then the author seems to realize that she doesn’t really care that he love motorcycles or mechanical work or computer coding. The details are surface and just there for the traditional romance reader, a woman. This is one of those times where you can’t just write a book in two months, without spending a huge amount of time researching beforehand. But your male readers will thank you for it. 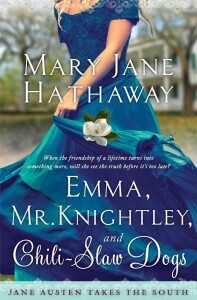 In my second Austen Takes the South book, Emma, Mr. Knightley, and Chili-Slaw Dogs he’s a motorcycle aficionado. They’ll appreciate that you didn’t just stick him on a bike, but have him riding a Triumph 6T Thunderbird AND know that Marlon Brando rode one AND know it had a 55 inch wheel base and four speeds. When your hero rides in on it, the heroine doesn’t know all this, of course, so you’ll have to drop all those details in there very carefully, but HEY, we’re writers! We can do this! Later, as your hero finds it knocked over, make sure he doesn’t just heave it upright because you should know (because we love our heroes and know everything about their lives) it weighs 397 lb soaking wet. In that book, my hero is a journalism professor. I couldn’t just say that. I had to actually find a few and contact them, asking them questions about their day, asking what their focus was, and making sure I had the details down. I thought I would only get letters from Civil War enthusiasts, but I’ve had two letters from journalism professors, both men. How funny! One teaches about classes on magazine reporting, just like the hero, and wrote to say he picked up the book for the Civil War re-enactor story line, but was thrilled to see his own journalism focus described so accurately in a college setting. So, heroes, they matter. As women, we might focus on more of the way they look, the way they make the heroine feel, and the way HE protects HER. But step away from the romance for a moment and see him like a man. Is he really interesting without the romance? He should be, so he can reach those untapped audiences of male readers. I’m giving away one ebook of each Austen Takes the South book available (or, if you’ve read them, you can choose one from Virginia Carmichael). 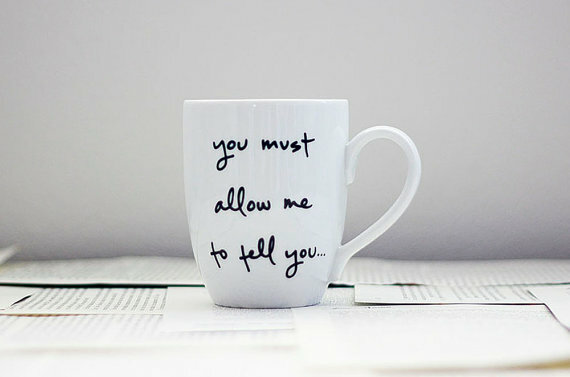 Also, pop on over to my blog where I’m giving an awesome Darcy mug! I’m having a giveaway every week until the paper versions of these books are released by Simon and Schuster in June. Last week was Bingley’s teas, and the week before was FOUR Austen DVD movies! Whoohoo, par-TAY! So, let’s talk about how you reach MALE readers! How do you write that might appeal to that particular market of romance readers? Oh Virginia!!! You are speaking straight to my hear here, girl! I love the way you talked about this. This makes me want to read even more of your bookS!!!!! And it makes me reevaluate how ‘manly’ I make my heroes – and my ‘manly’ I mean real and interesting to the non-romance reading group too. WTG with reaching the broader audience!! Hi Pepper! I bet you write a wonderfully ‘manly’ hero! Thanks for stopping by! Great post, Virginia! For me, it really comes down to writing the best story possible. I think when we do that, both men and women will like our books, even if they are romances. Men are not necessarily un-romantic creatures! I’m always honored and blessed when a man tells me they not only read my books, but enjoyed them. Thank you for addressing this topic! Hi Cathy! I absolutely agree and I think almost all writers have this down pat. A really wonderful romance writer is a really wonderful writer, period. Thanks for stopping by! Virginia, thanks for a lovely post about attracting the men to the romance side of fiction. 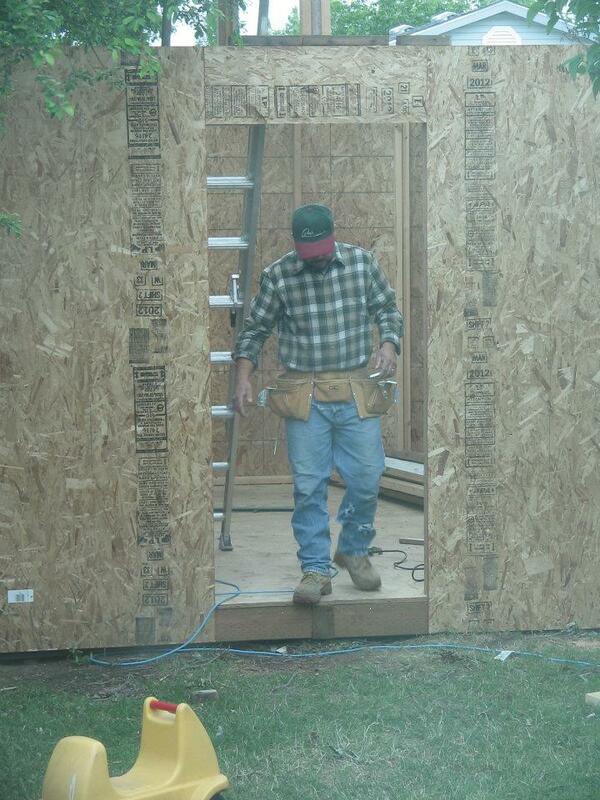 It’s quite a difficult task, but for me it’s all about knowing the hero of the book inside and out. If I can figure out who he is to the deepest degree (what makes him tick AND what will tick him off AND most of the stuff in between), then it helps me get into his POV better and even write his part better when in the heroine’s POV. For my current story, I just figured out a soundtrack of songs from singers my hero would listen to (ones that deal with what he’s going through). While I’m brainstorming him, I’m planning on listening to these songs to help me get into his head more. It’s kind of a first for me to use a soundtrack I’ve created for a character. We’ll see in a few weeks how it worked out. I may be chucking my CD player out the proverbial window. :) Hopefully not, though. Ok, that is VERY COOL. I’ve only recently warmed to the idea of a soundtrack for a book. I have friends who attach songs to projects and they say it’s very inspiring! Oh, and researching those details helps a lot! As you’ve already discovered, details are what sells the story for us. A reader can always tell when the research wasn’t put into it. The research doesn’t have to be all that time consuming either. I make notes along the way, as I’m writing the first draft. Then, I research the specific things I need to know, checking multiple resources, when available. Some basic research up front always helps too, especially if the hero(ine) have jobs or hobbies that I know little about. Right. I’m one of those people that loves TO READ a well-researched book but hates the time it takes to write one! I’m a reader at heart! I love this post! As a reader, I always enjoy learning more about the writing process and find it fascinating! Thank you for sharing your wonderful talents! Thank you, Britney! I’m like you, I love to hear how authors come up with their stories and how they write their characters! I think those sections in the backs of books where the author answers reader questions is AWESOME. I’m a writer on a blog with you and didn’t you had a secret identity. Clearly, I’m an idiot and should have more carefully read everyone’s bios — any secret agents or fighter pilots out there? 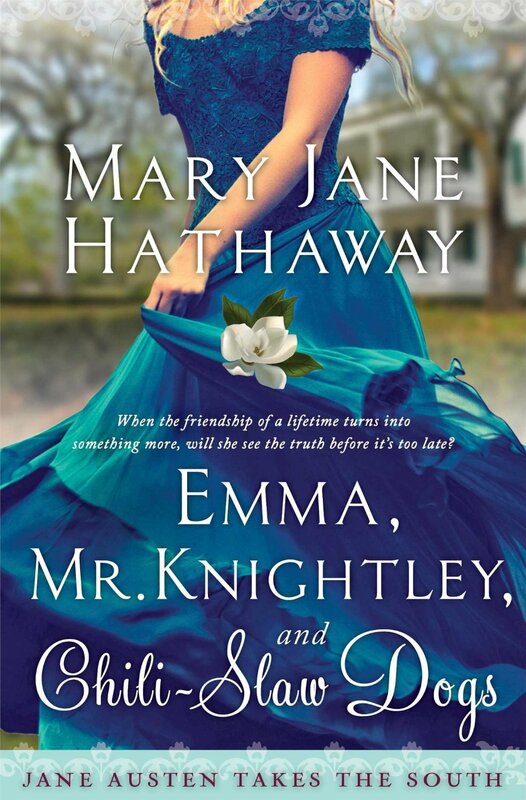 :) All that is to say, well done talented lady — you are two authors all rolled in one and I thoroughly enjoy your Emma, Mr. Knightley and Chili-Slaw Dogs. :) Fun post too! Oooh, I have many secret identities. :) Mostly, stealth MOM. Love reading your site here. Thank you, Linda! Nice to meet you and good luck on the giveaway! And it shows, Narelle! Thanks for stopping by! Now I know why I love your romance writing, even though I don’t usually read romance! It’s OK that I’m a woman, right? Hi Kathy! Everyone, let me introduce the MOST AWESOME freelance editor! Kathy helped me polish my historical series and I’ll be forever grateful! I think you will reach many more people with the way you write. Look forwarding to reading them. Great post. As I’m writing my first book for publication…actually, writing several at once, I needed this information. Although I have written many times, before, nothing was for publication. It was group friends kinds of things, either 1000 words or less, or a round robin kind of story. 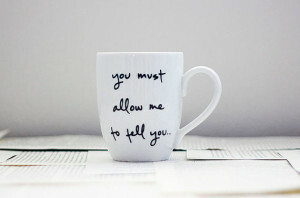 I love those, because you HAVE to deal with whatever the previous writer throws your direction. It keeps you on your toes. Anyway, with my current project, I knew that there were areas where I needed to research things for both my men and women characters, but since I assumed men didn’t read romance novels, I never thought about looking from their point of view. I am trying to deal with some difficult “life” issues, within these books. Those will take research, but clearly, my men need to be solid. Thanks! Why not try to gain the favor of male readers? Otherwise, I cut my potential audience in half. For the record, I have read 3 of your books…all STELLAR!!! I have read both of your Austen/South books, as well as “Leaving Liberty”. I can’t wait for your next book!!! Good news is that these posts are helping me to be a better writer. The bad news is that daily, I’m realizing more and more time will be needed on each book. I would rather give a book the time it needs to be right – to cure properly, than to rush something. Now I know why writer friends take several months between books. Big hugs. Thanks again, for the great insight!